Energy Upgrade California® Home Upgrade provides assistance and incentives for home improvement projects that can reduce energy use and make homes more comfortable. This statewide program is managed locally by utilities and regional energy networks and directed by the California Public Utilities Commission in collaboration with the California Energy Commission. Funding comes from utility customers under the auspices of the California Public Utilities Commission. Incentives are offered on a first-come, first-served basis and are effective until funding is expended or the program is discontinued. • Save energy and lower your bills. 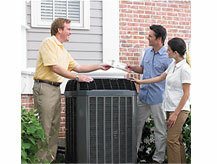 • Make your home more comfortable in all seasons with efficient winter warm-ups and summer cool downs. • Improve the air quality inside your home for a healthier and safer indoor environment. • Improve your home’s durability. • Conserve resources and reduce greenhouse gases.